Qualifying is all over here. Went good overall, but could get the triple TQ. Me and Maifield were really battling hard today for TQ in both buggy classes. 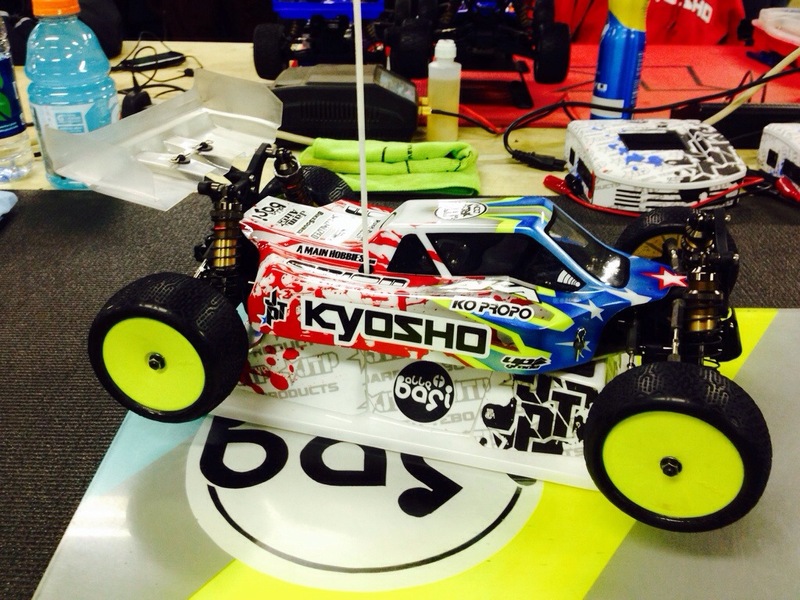 2wd I had great speed in Q3 and Q4. Both heats I was really laying down good laps and leading, but then made a mistake on my own in both. Q3 cased the front triple and crashed. Q4 just got a little crazy on the table single and caught the inside pipe and cause a train reaction of a 3 car pile up. I’m really happy with my car though. My speed is good enough to win, I just need to drive a little better. I start 2nd in the mains. Truck I had 2 TQs today. My truck felt awesome. Q3 I crashed a few times on the front triple double section. I still took the TQ, but wasn’t happy with my mistakes. 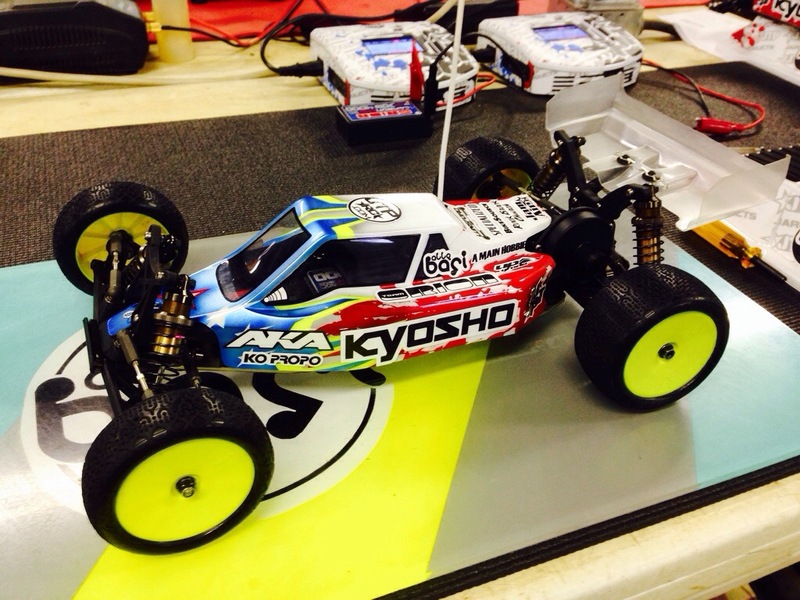 Q4 I had a clean run and had the fastest time to take the TQ by 14 seconds. My truck felt awesome today!!!! 4wd was a little frustrating today. I had the speed to fight for TQ, but had too many mistakes. Q3 I was running really good and Maifield and Cav both crashed. I had a 5 second lead and setting the fastest pace time, then just crashed on my own twice and threw it away. 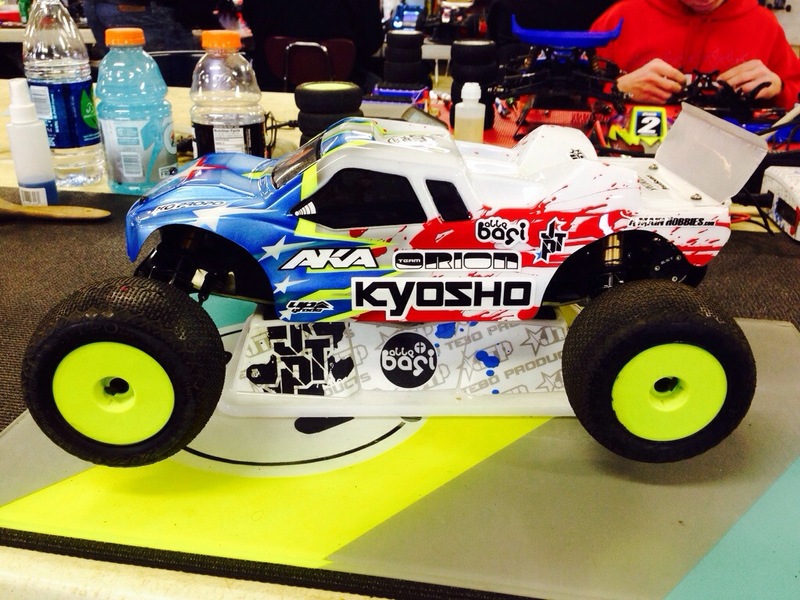 Q4 I started out really strong and was leading ahead of Maifield again, then I hit another car that was out of shape. I lost the lead and it just got me out of my rhythm. I recovered to finish 2nd. I’ll start 2nd behind Maifield in the mains. Making a couple changes for tomorrow and I think it will be good. I’m really excited to race the mains tomorrow. Should be some super close racing. Check back in tomorrow. Thanks for reading and God Bless. Well done Jared, best of luck tomorrow. It will be no problem to you.